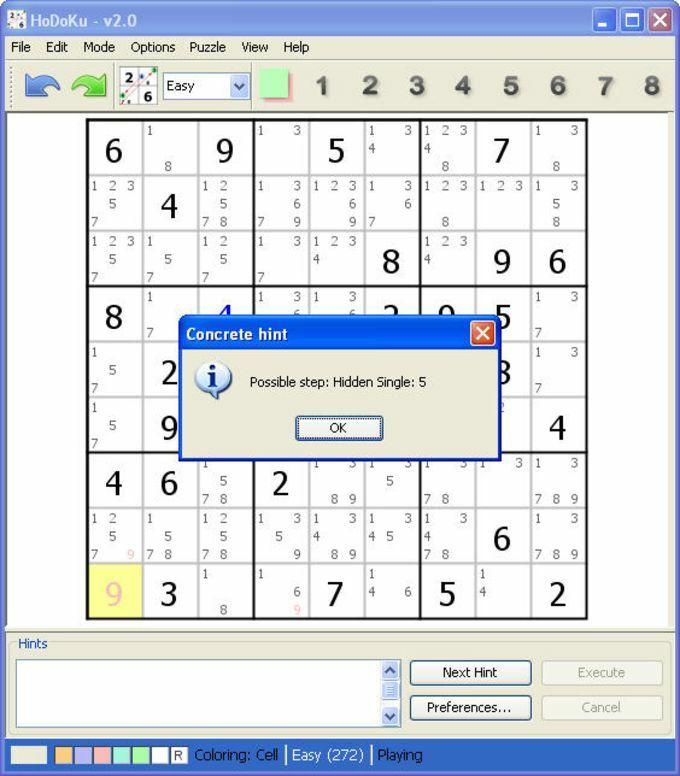 I've tested lots of sudoku apps, but none of them were as detailed and feature rich as HoDoKu. With HoDoKu you can generate as many sudokus as you want and solve them straight away. You can also save unsolved sudokus for later, or print them to take away with you. HoDoKu includes three modes (Learning, Practicing and Playing) and five difficulty levels (from Easy to Extreme), so you're sure to find the perfect challenge according to your skills. And if you get stuck at any point, don't worry: HoDoKu is thoroughly documented and can show you hints, candidate numbers and even the complete list of necessary steps to solve the sudoku. HoDoKu is an excellent sudoku app for both the beginner and the sudoku ninja. It's let down, however, by a somewhat confusing interface that offers no hints as to what each button on the toolbar actually does. 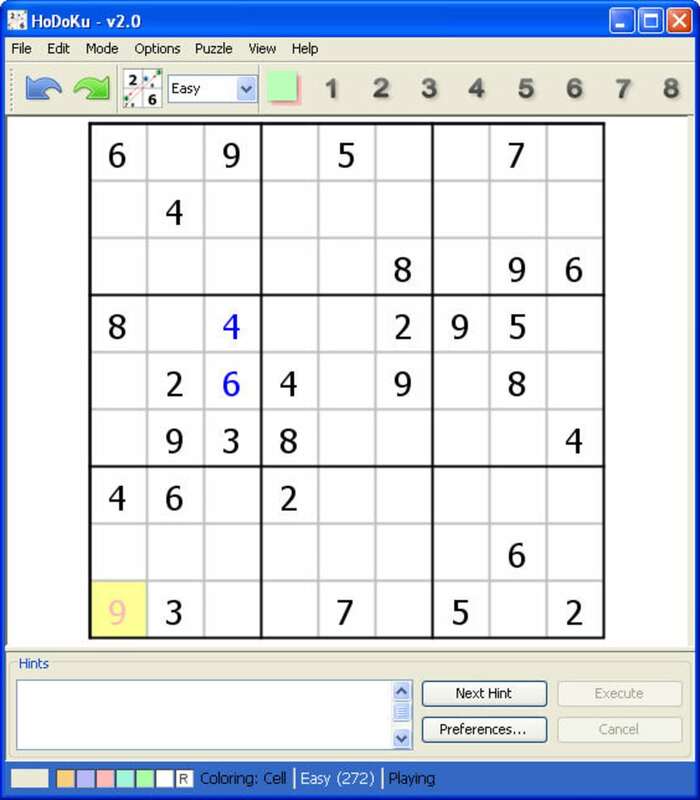 HoDoKu is a complete sudoku tool that not only lets you enjoy these popular Japanese puzzles, but also teaches you how to do it in the best possible way. NOT COOL! Norton Security Warning enabled "Do Not Download!". Not cool! i hit hodoku download to see what this was about. I immediately got a severe security warning from norton internet security - basically saying do not download. So i didn't. Fix your security problem, hodoku! Internet Security rating from Noton. What do you think about HoDoKu? Do you recommend it? Why?